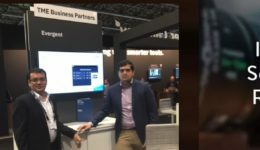 At NAB 2018 in Las Vegas last week, the world’s largest media, entertainment and technology event, we had a chance to showcase Evergent’s solution, attend presentations and meet with customers, industry players, and other trendsetters. Our takeaway? A lot is happening in the live linear streaming, over-the-top (OTT) world, and in the creation, production, delivery and consumption of video content. First, services with a recognized content brand, such as HBO Now. Second, online pay TV services or vMVPDs, such as DirecTV Now, which has reached the 1-million subscriber mark faster than any other service. Third, original content producers, including Netflix and Amazon, which differentiate themselves by creating compelling exclusive content. Read more. It’s hard to avoid the ongoing Facebook privacy investigation and the cybersecurity breeches at retailers, credit agencies, and more. Further, the upcoming General Data Protection Regulation (GDPR) has brought security and privacy issues to the surface. At NAB, many of the panel discussions had to field questions on security — clearly and for good reason, it is on everyone’s mind. With so many more players (content owners and distributors) in the field today, the pressure is on to stand out and differentiate your services. And we’ve found that many of the biggest players already in the market are now turning to efficiency. OTT is here to stay: the annual study from Unisphere states that OTT video will overtake traditional viewing before 2020. 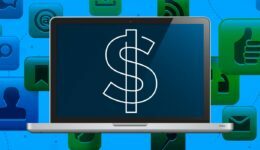 Some PayTV operators have pivoted to OTT already, overcoming fears of cannibalizing their own business — AT&T is a good example. Others are nervously feeling the increased pressure to take the leap as they’re already losing customers. OTT partnerships and collaborations can provide consumers with more options for sure. Is OTT the Blueprint for the Roadmap to the Future? Everyone wants to reduce churn, and everyone talks about it non-stop. Makes sense since it is so critical to business growth. We heard people talking about how to improve marketing and segmentation of users to improve experiences and reduce churn, and how to expand into marketing automation and analytics. At Evergent, we see two fundamental challenges with any video subscription service: acquisition and retention. Read our blog on churn to learn more.